Rear Brake Hose- Vauxhall VX4/90- FB Series- 1961-64 Vauxhall Cavalier- 1600/ 1900/ 2000-..
Front Brake Caliper- Vauxhall Cavalier- 1600/ 1900/ 2000- 1975-81- LH Lotus Esprit-..
Front Brake Caliper- Vauxhall Cavalier- 1600/ 1900/ 2000- 1975-81- RH Lotus Esprit- 1975-.. 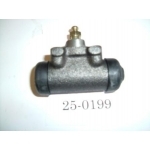 Brake Master Cylinder- Vauxhall Cavalier- 1600/ 1900/ 2000cc- 1975-81- When fitted with a Del.. 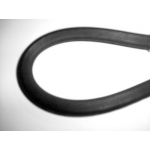 Brake Hose- Vauxhall Cavalier- 1600/ 1900/ 2000- 1975-81- Front .. 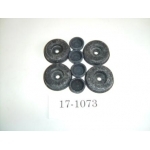 Brake Hose- Vauxhall Cavalier- 1600/ 1900/ 2000- 1978-81- Front ..
Wheel Cylinder- Vauxhall Cavalier- 1600/ 1600/ 1900- 1975-81- Rear ..
Rear Wheel Cylinder Seal Kit- Vauxhall Cavalier- 1600/ 1900/ 2000- 1975-81..